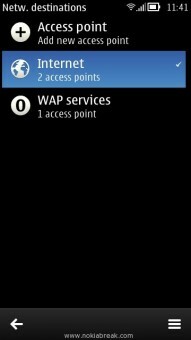 Alike all others phones, Nokia Belle, Anna and Symbian allows you to use Nokia WiFi Proxy settings. As you all know Nokia Belle introduced with lots of features, but setting up proxy remains same in Symbian, Anna and Belle. To setup proxy settings, all you have to do follow the below instructions carefully. 2. Then Tap on the Settings Icon. 3. In Settings Menu, click on Connectivity. 4. 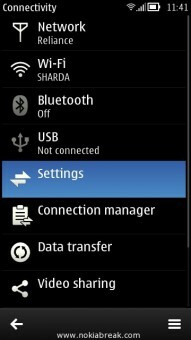 In Connectivity Menu, Tap on the Settings. 5. Then Tap on Network Destinations. 6. Then Click on Access Point to add New Access Point (New Wi-Fi Settings). If will automatically search the available Wi-Fi connections near to your Phone, once it shows the available connections, simply add it to Internet section. 7. Now, Tap on Internet (to see the access points you have created in the above step). 8. Then Tap on the Access Point (we are using SHARDA as example). 9. Then your Access Point settings will be opened. There simply Tap on the Right Button. 10. Then Tap on the Advanced Settings. 11. There, you can simply add Proxy Server address (we are using 128.10.100.2 as example). 12. Then add Proxy Port Number (we are using 6588 as example). 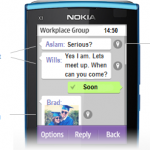 You can use the above procedure in all Symbian version 3 and 5, Anna and Nokia Belle. You can use different proxy settings for every new Access Point you create. 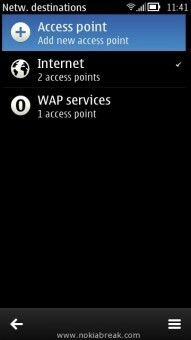 If your phone is already having access points in the Internet column then also you can apply the proxy settings. For doing this you can follow the procedure from Step #7. If you want to delete Access points from the Internet Section, then simply Tap on the Access Point Name, a Popup menu will appear with an option to Delete. Simply click on Delete option. Hoping the above guidelines will help you in setting up Wi-Fi proxy settings on your latest Nokia phone. We will love to hear your words about this settings through comment form below. Hi ,Thanks for the guide it was very helpful I just have one question,is there anyway to force apps (like whatsapp and skype,nokia store…) through the same proxy because I cant seem to get to work .Atm I can only browse the web through this access point. 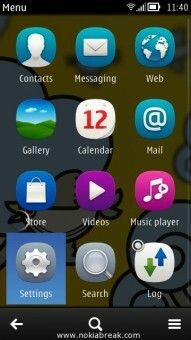 @ Bashar, We are also using proxy on our Nokia N8. And We are able to use Skype and Nokia Store successfully. Send your Proxy with Port, so that We can check it why its not working properly. I also have to authenticate with my own username and password. I think the problem is with proxys that require authentication ,might be wrong though. Mainly Server Address comes in numerical form, but you are using “roxy.aub.edu.lb”. We think this is the reason that you are unable to use the Wi-Fi. PLEASE HELP ME!!!! I NEEED A PROXY for it!! Select Menu > Settings > Connectivity > WLAN. From there you can setup the Wi-Fi Proxy. I can not find the Advance Settings on my symbian belle. how do you think? 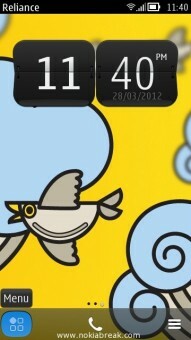 Is there any solution to display the advanced settings on my symbian belle? Click on Menu > Settings > Connectivity > Settings > Network Destinations > Internet > Select Wi-Fi connection > Click on Options > Advanced Settings. Soon as i set proxy with 10.0.0.21 port 3128. Then I open “web”, it then asks username and password for the proxy. @ Rusydi, you are getting this error because you havnt filled the username and Password the proxy. Soon as i set proxy with 10.10.10.1 port 3128. it then asks username and password for the proxy. HI,is there anyway use whatsapp and skype through the same proxy.i have wifi access from college and proxy address is 10.3.100.211:8080 almost every app works except whatsapp and skype through proxy. My phone is a Nokia Asha 311. How can I set up proxy settings on wifi internet connection? 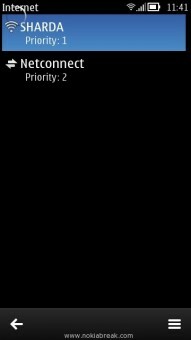 please my nokia n8 scan advanc setting how do you set plz. please,what is the important of adding a proxy in a wifi? success you access pеrsistently fast.